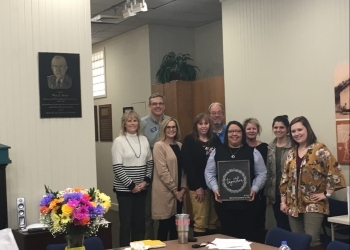 The Bartlesville Convention and Visitors Bureau met for a special meeting Wednesday afternoon and discussed the importance of tourism here in Bartlesville. Board member Maria Swindell Gus says she isn’t seeing as much traffic on the website and on Facebook, but she doesn’t think it’s anything to be concerned about. Gus says she is trying to find ways to make the Convention and Visitors Bureau more visible on Facebook. Gus says that despite the rain, the Bartlesville Ghost Walk was a success. The Bureau approved a $1,500 grant to be used by the Bartlesville Regional Chamber of Commerce for Christmas in the Ville. Christmas in the Ville begins Friday, Nov. 30.